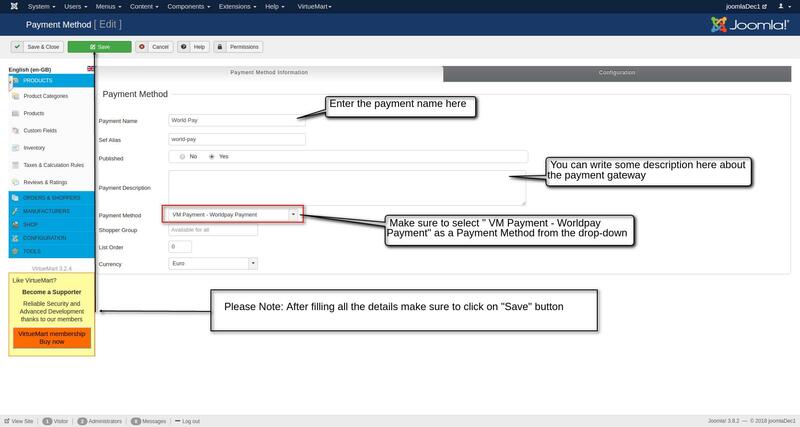 Option for Authorizing of a transaction. 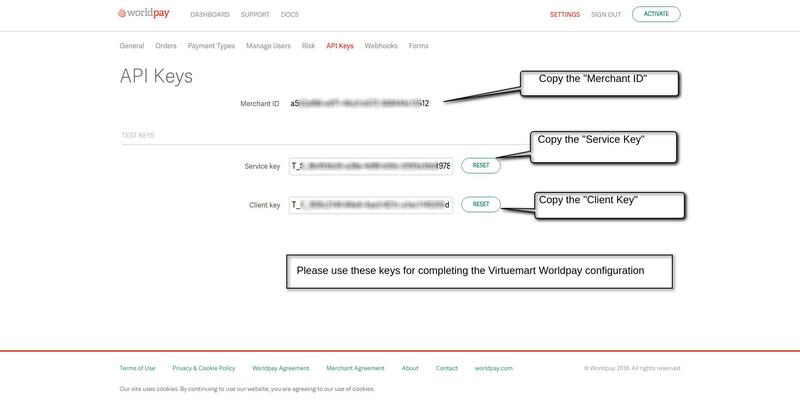 In this type of transaction, WorldPay deducts the cart value from the shoppers account and authorizes it to the admin’s account which must be captured by the admin from WorldPay. 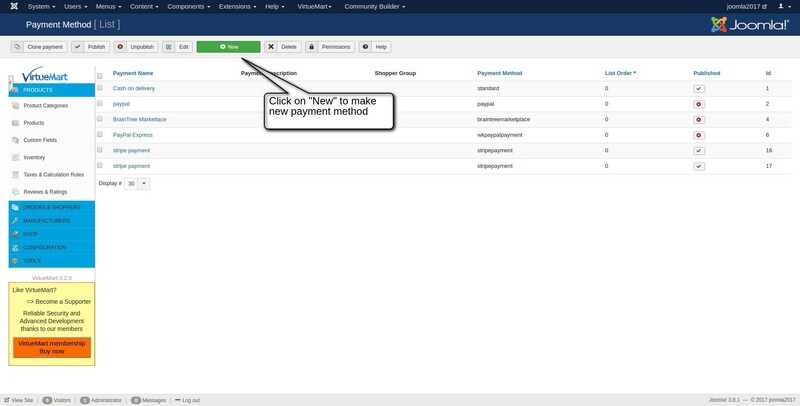 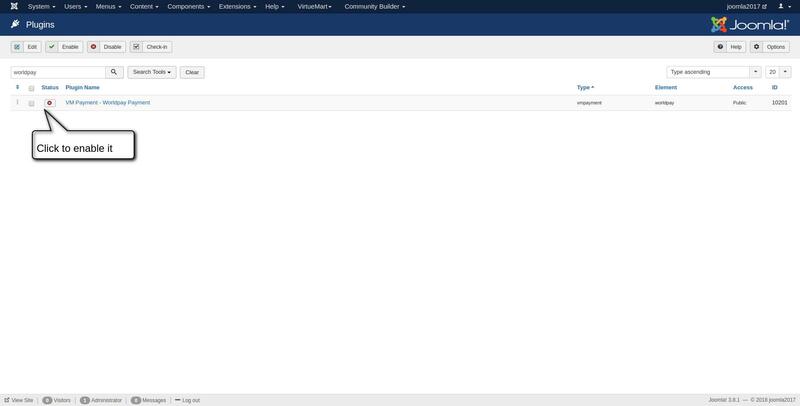 Browse the ‘Joomla Virtuemart WorldPay Payment Gateway’ zip file and then drag and drop. 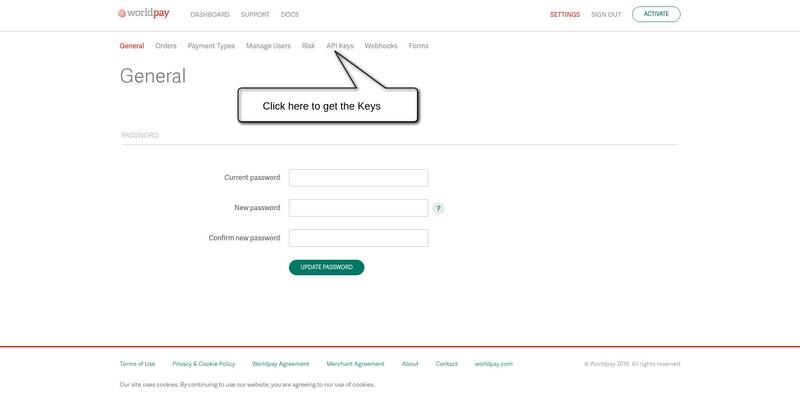 Please note: To get the Merchant ID, Service Key and Client Key please login to your WorldPay account WorldPay Login and follow the steps as mentioned below. 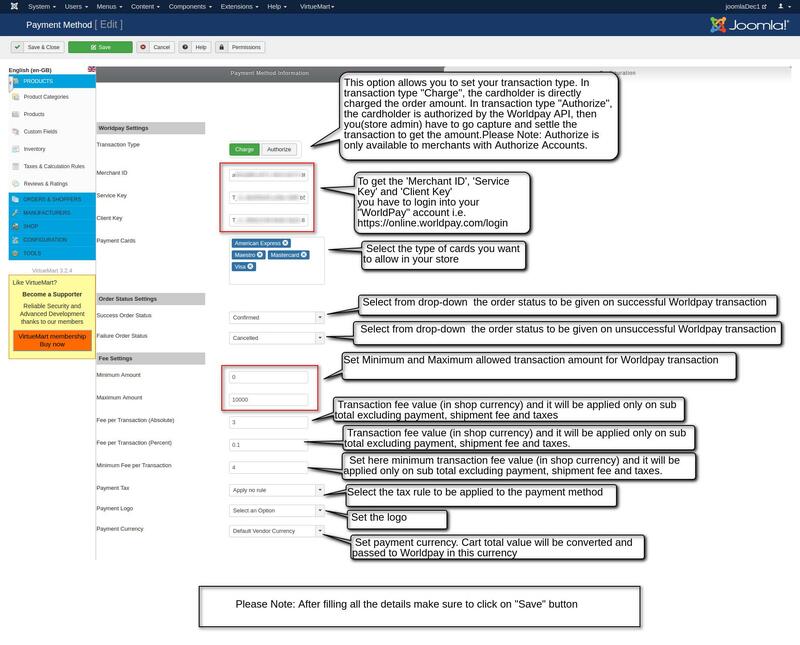 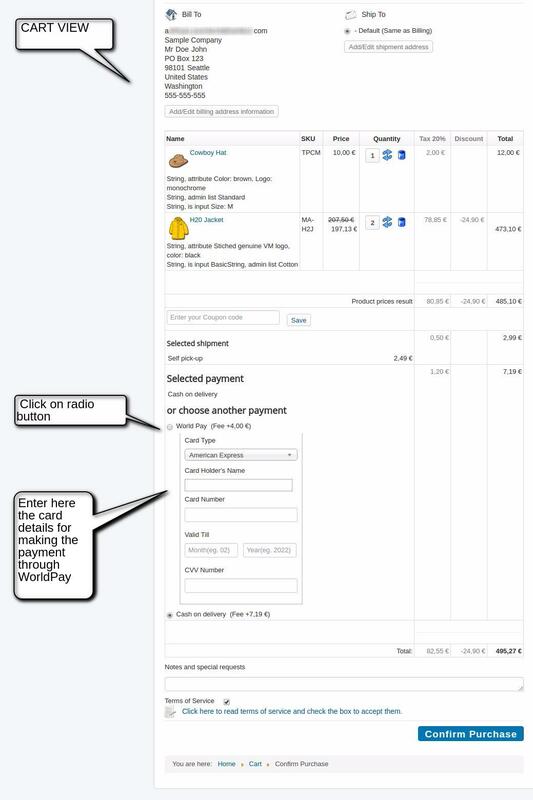 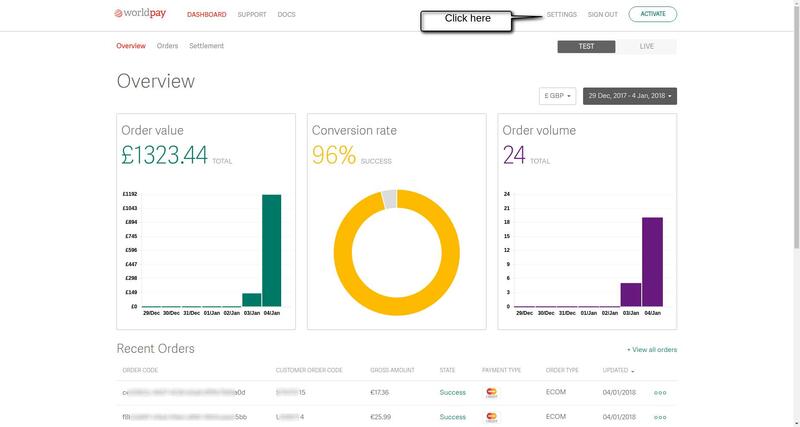 In the front-end view, first of all, a shopper has to add a product to his cart and then select the “WorldPay” Payment method and needs to fill the his/her card details in order to complete the purchase. 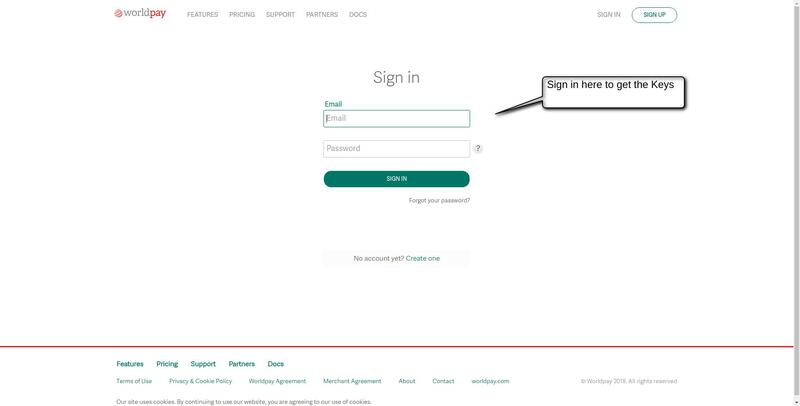 Once the shopper enter the card details and click on confirm purchase button the shopper would land on order confirmation page.